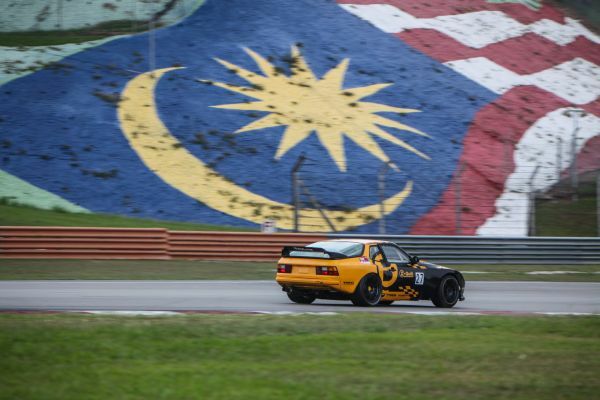 It turned out to be a perfect weekend for B-Quik Racing during the third round of Asia Classic Car Challenge 2017 (ACCC), held on 22-13 July at Sepang Circuit, as Henk J. Kiks in our Porsche 944 won both races after starting both from pole position to make it a clean sweep. The Dutchman had arrived at the crowded Malaysian Championship Series (MCS) weekend with a little bit of added pressure and our other two ACCC regular drivers, Daniel Bilski and Frank Teeuwen, were both forced to miss this round due to other commitments so Henk had to carry all our hopes on his shoulders – which he started to do superbly last Saturday afternoon after claiming pole position for both races following a fraught 30-minute qualifying session. Then it was onto Sunday morning and kicking off the day's bumper MCS programme at Sepang Circuit – which also included Asian Le Mans Sprint Cup, Porsche Carrera Cup Asia, Porsche Carrera Cup Australia, Porsche Carrera Cup Asia/Australia Invitational Race and Malaysian Touring/Production Car – at the bright and early time of 0900 was ACCC. That 10 lap Race 1 saw Henk starting from pole but after a cautious start he dropped back to third place and a real fight broke out as the top trio battled all the way to the finishline in what turned out to be a very evenly matched head-to-head contest. 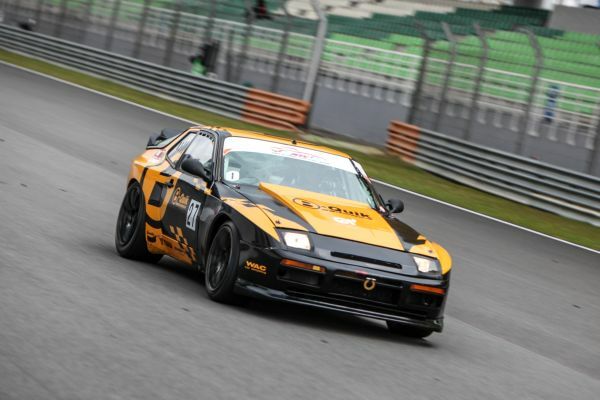 Our Dutchman tenaciously fought his way back into the race lead and was then able to successfully fend off his closest rivals to win by just eight tenths of a second, with Nick Tan’s Nissan pretty Silva 180SX being next across the line. Henk then parked our #27 Porsche 944 on pole for Race 2, which took place just a couple of hours later. But as the 18-strong grid of classic racecars – which, as well as our ‘bumblebee’ Porsche, – included such delights as a striking blue and orange ‘Gulf’ styled Porsche 964, a quick and nimble Caterham 7, several nippy little Minis, a beautiful first generation Mazda RX-7 and a potent early Toyota Celica – formed up on the grid the skies overhead darkened and the first spits of rain appeared. By the time the lights turned green for Race 2 that light drizzle had mostly faded away but it left a slippery track for the classic racecars to negotiate. Henk started carefully and the top three positions overall reversed on the run down to Turn 1 with our 944 dropping to third place as we chose a cautious approach on the damp surface. However, Henk was very quickly able to regain ground and make his way into P1. By half distance the ‘Flying Dutchman’ had broken the challenges from behind and asserted his grip on the race. He was then able to control the field to the chequered flag, beating the by now somewhat battered looking Honda Civic EG of Ricky Koh by a comfortable 2.998 seconds, to make it two wins out of two. 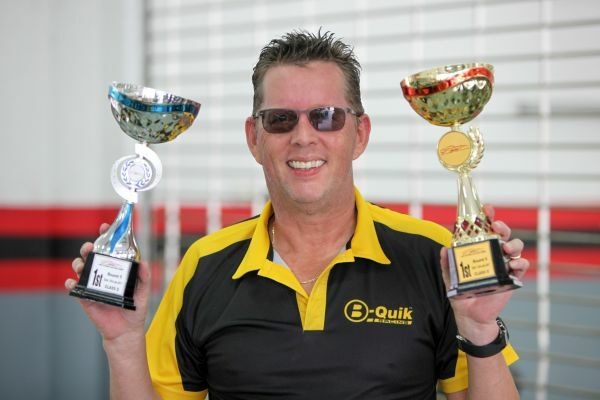 Factor in the two poles and it was a clean sweep for B-Quik Racing. In fact, it was a superb morning for B-Quik Racing as sandwiched in between the two classic encounters was Race 2 for the Porsche Carrera Cup Asia runners and here Will Bamber, who we are also supporting this year was in action. Will is right in the thick of the fight for the prestigious championship title, but during the previous day’s first race for the Porsche ‘one make’ series he was punted out at Turn 1 through no fault of his, which put a big dent in his aspirations. The young New Zealander however responded come Race 2 the way all the best drivers do, by starting superbly, quickly fighting his way into the lead and then controlling the field from the front to deliver the win. That was the icing on the cake for B-Quik – we really like to win. Now we turn our attention to the next round of Thailand Super Series 2017, which sees the championship returning to Chang International Circuit in the North East for a second time this season and we will be entering our full complement of racecars in Super Car GTM Plus, Super Car GTC and Super Eco as usual.